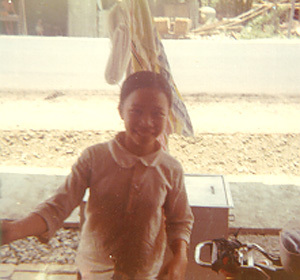 Teen-age Co Lin was the keeper of the “general store” in Thanh Quit, which sat on the CAP 4 side of Highway 1. At her store you could get overpriced black market sodas (60 cents), noodles, beer ($1) and plenty of other stuff. Given the opportunity she would cheat you blind, but we always wound up going back to her store. She had ice delivered each morning from Da Nang, so she had the only cold drinks in town. Co Lin was more involved with the Marines than anybody in our ville, yet the VC never bothered her. We suspect she was paying them off.